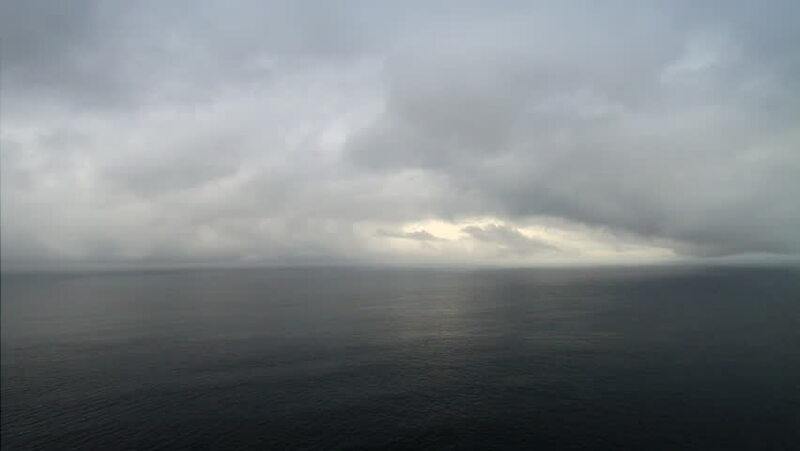 Shot of the Atlantic Ocean during overcast weather. 4k00:11After rain clouds fast moving, nature dark grey skies in horizon, beautiful real colours. Time lapse thunderstorm, tornado, supercell cloudscape.